Psocids (Psocoptera), or booklice, are very common in new houses. This is because the environment is relatively humid, and these bugs do well in humid conditions. They likely came in on construction materials while the house was being built, and simply stayed. They can feed on microscopic mold that is growing in the humid areas they are in. But, you will be happy to know that they don't bite, sting, or bother people or pets. 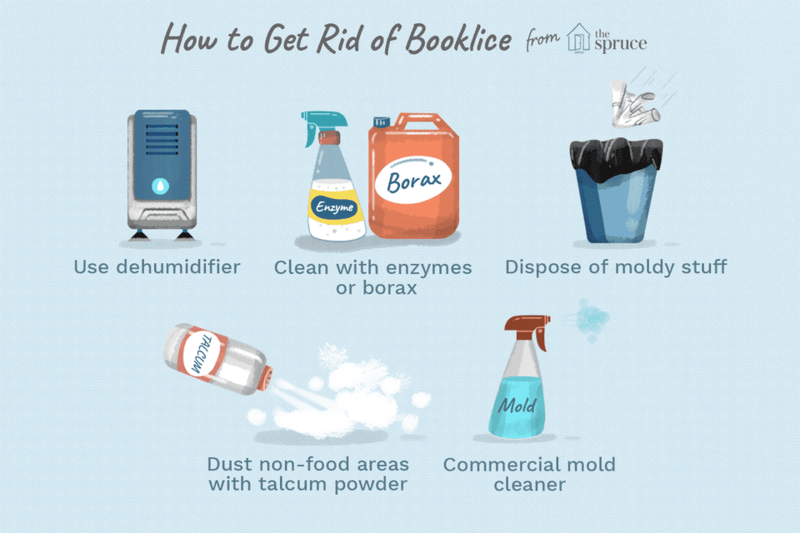 Also, "booklice" is actually an inappropriate name for these bugs, because they're not lice, and they don’t live in books! Psocid presence is actually the most common pest question that comes from people who have just moved into a new house. Although the tiny bugs can be an annoyance, they really are no more than that and eventually, the humidity in the new house will drop and these small insects will not survive. So, you really don't need to do anything besides living in the house. But if they don’t die off soon enough on their own, you can turn up the heat in the rooms that have the problem. With about four hours of increased temperature/decreased humidity, the psocids will be gone—as high temperatures and low humidity will dry out and kill the psocids and also help to reduce the growth of the molds on which they survive. New houses are not the only places that have problems with psocids, however. The tiny bugs can live outdoors on bark feeding on mosses and lichens and in grass, leaves and damp wood. Because they are so tiny, it’s impractical to try to prevent their entry into the home (beyond standard exclusion practices that can help keep out pests of all kinds), so it’s important to make your home as unattractive to these tiny bugs as possible. That is primarily by reducing or eliminating the moisture in which they thrive and the micro-molds on which they feed. Reduce their food supply by cleaning with enzymes and/or borax, then keeping the areas clean and free of molds and mildew. Use a dehumidifier or air conditioner in the infested or potentially infestation areas to reduce moisture to below 50%. Using fans can also help to increase the air flow. Dispose of all moldy articles. Reducing the temperature to below freezing for one hour can also kill off the psocids, but this would be impractical for a home, though it could be viable for infested items … particularly for those who live in the Northern climates where an article could be placed outdoors when the temperatures drop below freezing. Talcum powder, diatomaceous earth or boric acid can be dusted in non-food area cracks and crevices, crawl spaces and other areas away from children and pets, to help dry out the area. Commercial products that help to control mold and fungi will also help keep the areas clean and maintain control of mold-feeding pests. With thanks for the information from Bill Robinson and Stephen Tvedten.